Five Things Friday: Christmas Table Decorations | Keeps Me Out Of Mischief! I’m not one for putting an incredible amount of thought into decorating my table for Christmas dinner, mainly because there’s too many small children ready and waiting and too much food! So there’s no danger of any candles or prickly holly in our house. 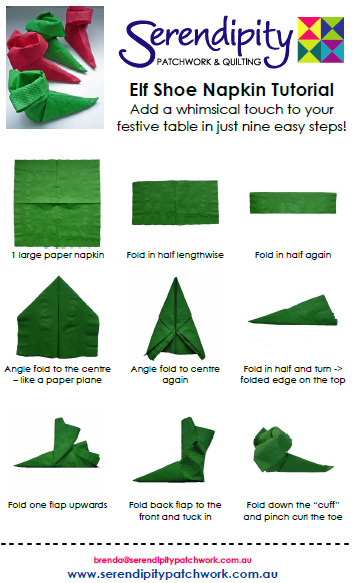 Here’s some ideas to add a festive touch to your Christmas table but won’t take over the entire space. 1. Addy Lou Creates has this great idea for using up scraps of green material in your stash to make this lovely table runner. 2. These elf chair/ table leg covers that I found on Ebay would be loved by the kids in our family! 3. Serendipity Patchwork has these cute elf bootie napkins that you could employ older children into making in the days before Christmas. 4. The Patchsmith has these ‘mug rugs’ which could easily be adapted as place mat designs. 5. 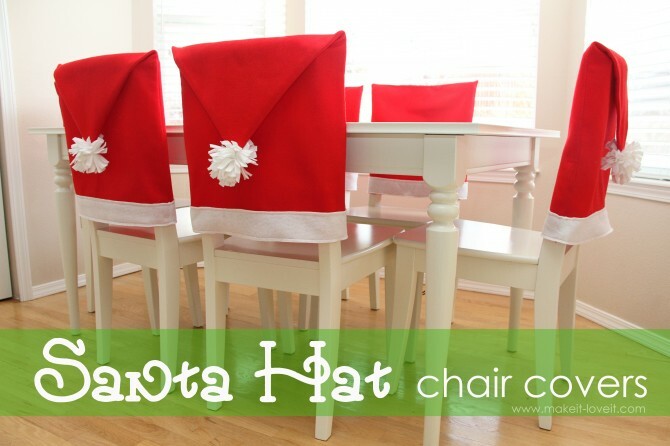 Make it and Love it has these Santa Hat chair covers which look incredibly simple to make and would tie together the amazing assortment of chairs that end up being dragged around our table to provide enough seating!